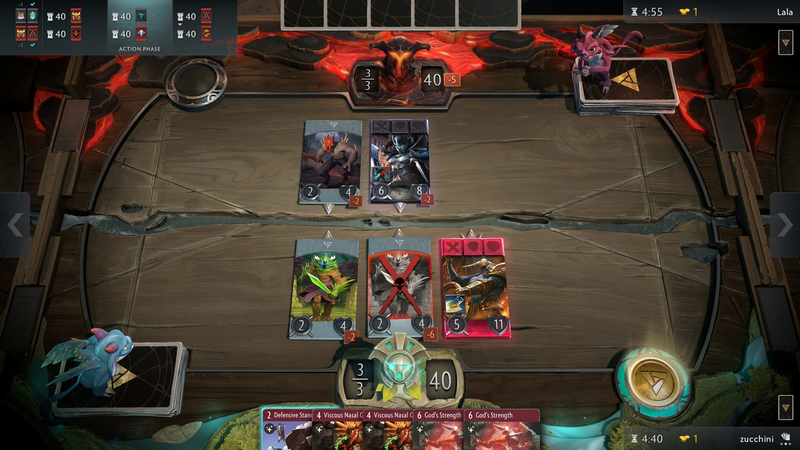 Valve's new card game Artifact is launching later this year. It is a Collectible Card Game (CCG) that will be published on November 28th and will be available for PC, Mac, and Linux. The game will retail for $20 and in 2019, it will be ported to mobile devices. As it stands, the game will be available to try at PAX West at the end of August. Creator Richard Garfield is the legendary man behind the longest running CCG in existence, Magic the Gathering. Garfield is also responsible for releasing the game Netrunner which was an equivalent of a Cyberpunk/Shadowrun CCG. Both of these games launched in the 90's during the CCG uprising. At the time there were Star Trek CCGs, Battlestar Galactica, Babylon 5, and even Neon Genesis Evangelion! Other CCGs that released in the 90s can be found on this list. In the 90s, everyone played Magic the Gathering (heck, I ran a local gaming group for it! Editor's Note: Not this guy! Never found the appeal until the spinoffs like .Hack came into my life. My Brother though, oh boy, he was a monster) and over the years it has developed into a card game that has stood the test of time. It is a game that has evolved because of expansion packs and different concepts. In the last few years, Magic launched a new 'mode' of gameplay. In this game variation, players have a Commander which gives them different unique abilities. Since, MTG has captivated its varied audience, a new prospect CCG created by Garfield is exciting. There are four different colors that are used in a deck. They are red: the tanks, black: the assassins, green: the supporters, and blue: the spellcasters. 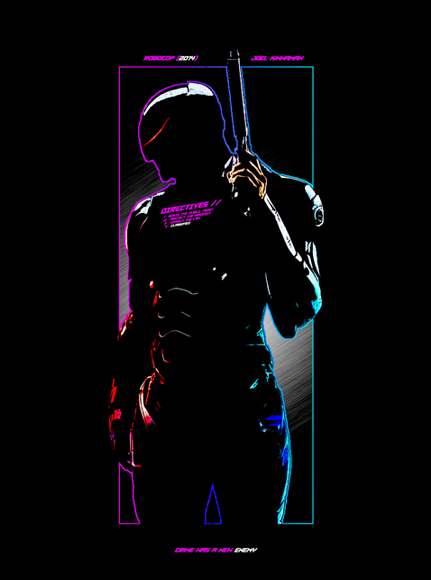 There are five heroes which each player uses. They represent a five-man team like in the computer version of DOTA. Artifact consists of three boards that are representative of the top, middle, and bottom lanes in the MOBA. Each hero card has three slots: a passive item, a weapon, and an armor. Heroes re-spawn from death after only one turn. Players can have as many or as little cards as they like in the game though there are considerations in doing either. Each deck is made up of a combination of two of the colors. The objective is to take out the ancient after a tower is taken out, much like in DOTA. The game promises to be highly complex, more than MTG is, in its current state. And because of this, I speculate that players will enjoy its level of complexity in contrast to a CCG like Hearthstone. For an indepth explanation of Artifact and its gameplay, take a look at the article posted on PCGamesN. 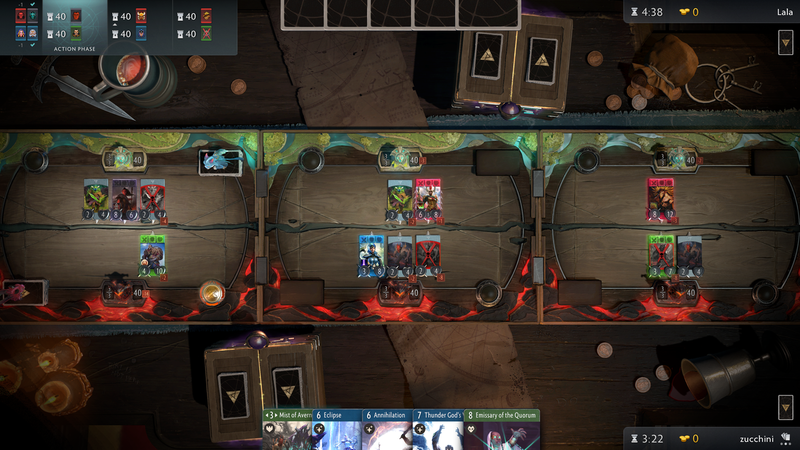 Included in the article is a YouTube video that describes Artifact's gameplay. I somehow missed this games introduction throughout the year and I'm pleased to see information about it now. As a person that used to play a few CCGs, I'm really looking forward to giving this game a shot when it launches. As I said above, the game is slated for launch on November 28th on PC, Mac, and Linux. The mobile ports will become available in early 2019. It will cost $20 USD and players will be able to buy and sell cards in Valves' marketplace. Outside of the base deck, players will be able to purchase more cards at $2 a pop. 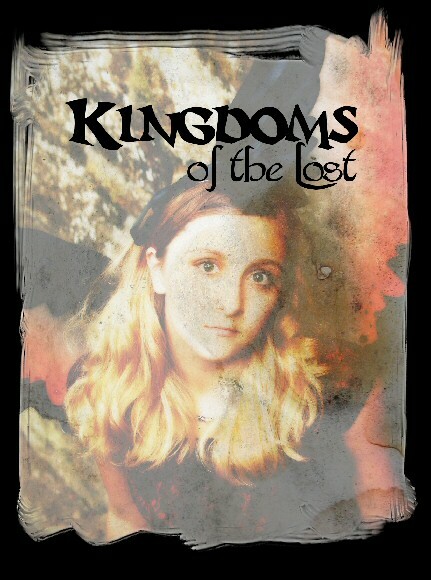 In the meantime, keep an eye on Twitter and the website for updates on this title as we approach release date. 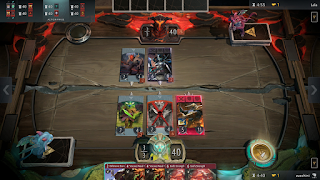 Do you think Artifact will be interesting? Let us know your thoughts in the comments below!